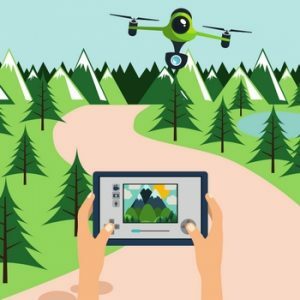 For the drone lover on the go getting the best drone for travel is important. With the wide variety of drones available, there are definitely ones more suited for travel than others. Many high-end drones are large, bulky, and cumbersome; the exact opposite of what makes a good travel drone. Today we’re going to take a look at what makes the best drones for travel, and some of our top picks. There are a lot of different drones out there, but not all of them are created equal. Here’s our top picks for the best drones for travel. They hit on a variety of characteristics that make a drone great for traveling such as weight, features, a camera quality. The 818 Hornet is a small, easy to use drone that is perfect for traveling. 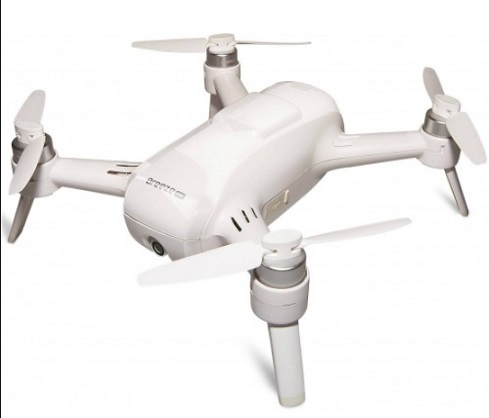 It also has the added 720p HD camera that is quite good for the drone’s price and can produce some great shots. For travel purposes, this drone weighs in at just under 3 lbs. This makes it super light, and easy to pack and carry with you. 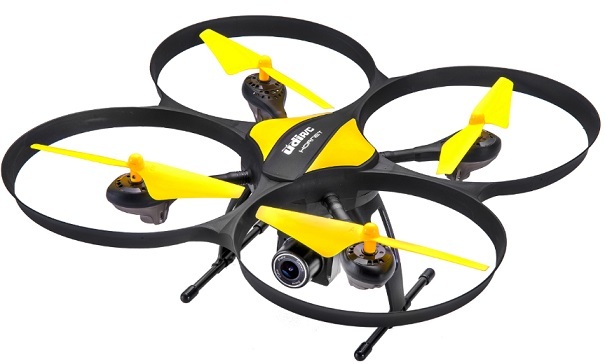 It’s also a very easy drone to start with, and comes with multiple modes for different levels of users. 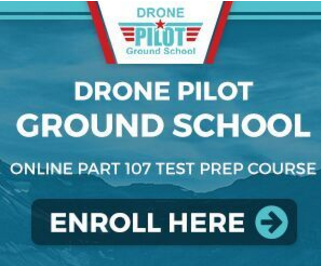 From beginners to experts, any flyer is sure to enjoy piloting this drone. In addition to the specifics of the drone, the 818 is built by Altair Aerial. Altair is known for having excellent customer service and is very responsive to their customer’s needs and inquiries. For those who value great customer service, this is a huge plus for this drone. Next up we have the AA108, another fantastic travel drone by Altair Aerial. This drone also comes with a high quality camera, and is great for all levels of flyers, as well as the quality customer service Altair is known for. Amazingly, this drone clocks in at only 1.65lbs, making it a breeze to travel with. For those looking for a lightweight drone for travel, the AA108 is a great option. It also comes with three different skill levels tailored to different levels of flyers. This makes it great for both beginners as well as experience drone flyers. Next up we have high quality drone in the DJI Phantom 4. The Phantom 4 is not cheap, but comes with a slew of features that can make the price worth it. 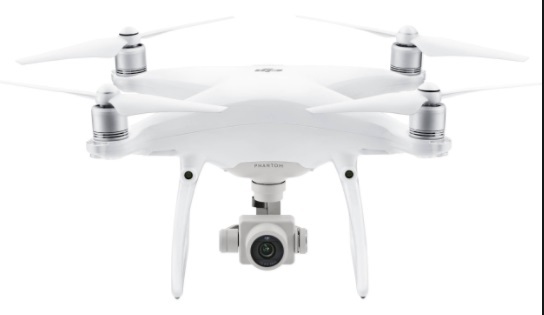 To start, the Phantom 4 comes equipped with a 4k camera. This high quality camera takes absolutely gorgeous pictures and videos. It also comes equipped with a special stabilization technology that helps taking smooth video footage while in the air. This makes it one of the easiests drones to get crisp shots with. An important note is that this is a fairly complex drone. Our recommendation is to give the manual a brief read through before jumping into flying. It’s definitely a lot of drone, and spending some time getting acquainted with it beforehand is a smart move. 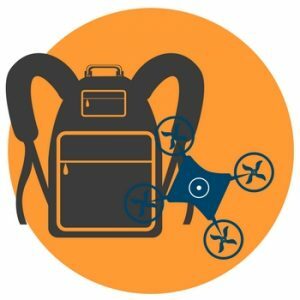 For travel, getting the best phantom 4 backpack is a great way to protect your drone, and our suggestion is the drone quadcopter carrying case. This is a great backpack as it not only fits and protects the Phantom 4, as well as several others, but it also has additional room for accessories such as as smartphone/tablet and memory cards. This makes it a great all in one to carry all your drone related gear. The Yuneec Breeze is a neat little drone that combines ease of flying with a stunning 4k camera. At just over 3lbs its still in a good range for those looking for a solid travel drone. The first thing to note about the Breeze is the gorgeous 4k camera. This is a high quality camera that is sure to produce beautiful shots. It also comes with a variety of flying modes that make it fun for both beginners and experts to fly. These range from follow mode which will tell the drone to follow you from a set distance, to pilot mode which gives the most control. These five modse make it easy to focus on capturing video and pictures, and not have to focus too heavily on actually piloting the drone. For those looking for an easy way to get beautiful shots without having to be a great pilot, the Breeze is a great choice. 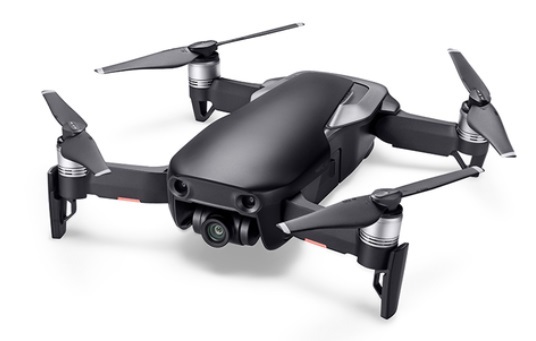 Lastly, we have the DJI Mavic Air. This is another pricey drone, but the quality is well worth it. What makes this drone perfect for travel is it’s foldability. The propellers of the drone are able to be folded in on the drone, which reduces the drone size significantly as well as protects the propellers themselves from damage. It also has a pretty impressive 21 minute flight time. For those getting travel shots, having to worry about the drone battery mid-shot is not something to concern yourself with when using this drone. You’re also not sacrificing video quality on this drone, it comes equipped with a beautiful 4k camera. While the price is certainly a consideration, this drone comes packed with enough to make it worth it for those looking for a high quality travel drone. Not all drones are built equal, and not all drones are built to be traveled with. Some drones are just easier to travel than others, but not all for the same reasons. Here’s some things to consider when looking for the best drones for travel. 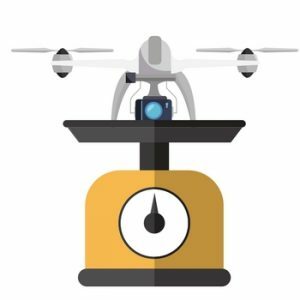 One of the most important considerations when looking for a travel drone is the weight. Lugging around a 20lb drone all day is not going to be fun. It’s best to look for smaller and more lightweight drones that will be easier to travel with. What weight you aim for depends on what you feel comfortable with. That said, always err on the side of caution and try to go lighter. What might not seem heavy right now can feel 10 times heavier after a long day of traveling. Another consideration is drone size and portability. While light weight typically means smaller, this is not always the case. There are unwieldy drones that would be a pain to travel with that are light, but cumbersome due to their size. Other drones also have ability to be partially disassembled or folded to make them easier to travel with. Having ample room to store your drone is important, and a big factor in whether it’s a good drone to travel with. It’s also important to think about how you’re going to handle air travel. 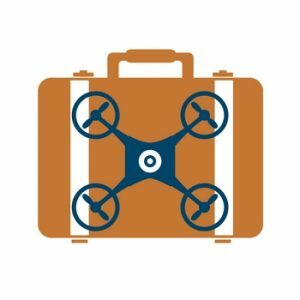 Is your drone small enough for carry on, or will it have to be checked? Check with the airline to determine their size restrictions to ensure you have enough room. Some drones come with a fixed camera while others don’t. For traveling, one of the biggest reasons to even take your drone is to get beautiful aerial shots. For this purpose, look for at least 1080p or full HD. This provides the best picture and video quality. In addition to that, look for drones that have some sort of stabilization technology built in. Without this, it’s very difficult to get shots that don’t look shaky or blurry. Some drones come with extras like a case that can make it easier to travel with. Once again, check the sizing on any of these extras as some can be quite large. This becomes more of concern for flights mentioned above, as some larger, hardshell cases are too big to be carry ons. It’s also important to understand the laws and regulations of the drones wherever you’re traveling. Some countries have very different laws regarding the usage of drones. 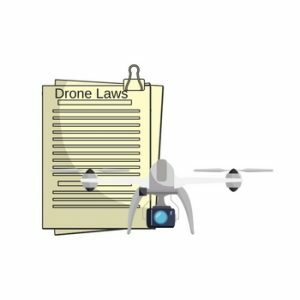 A number of countries outright ban the usage of drones, while a number of others require special permission or permits to be acquired. If you’re going to be traveling internationally make sure to read up on the rules of where you’re going regarding drone usage. There you have it, our picks for the best drone for travel and the characteristics we looked for to pick them out. Hopefully our list and ideas can help you pick out the perfect drone for your next time traveling! Can You Bring a Travel Drone On a Plane? Yes, you can bring a drone on a plane, but it’s important to understand how to handle the different pieces. For example, rechargeable lithium ION batteries must be in your carry on, and you’re typically only allowed a certain number of them. Check with your airline for their exact rules. Can I Fly a Drone In Another Country? It depends, some counties have laws that ban or heavily limit the ability to fly drones. Always double check the laws where you’re flying before brining your drone.